Police say an incident where a suspicious package was found at a property in Bridlington has been safely resolved. Police have cordoned off a property in Bridlington after workmen reported the discovery of a number of weapons and a suspicious package. Four military medals, a wallet, cash and clothes have been stolen from a man’s bag while he went swimming in the sea in Bridlington. The sister of a man who drowned whilst trying to save his dog from rough seas is warning young men to take care when visiting the coast. Shellfish, cod and plaice landed on the beaches, along with several dead seals and velvet crabs following an underwater storm. Police have identified a woman whose body was found at an address on Main Street in Buckton, near Bridlington earlier this week. 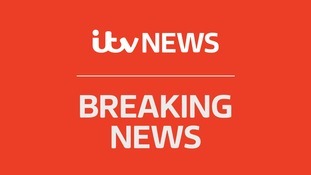 A man's been arrested on suspicion of murder after a woman was found dead in a village near Bridlington. A driver is in hospital where his condition is described as critical following a collision in Bridlington. It happened on Sunday October 22 at around 2am when the black Astra he was travelling in along the A165 close to the B1253 junction at Bessingby Hill, left the road and came to a stop in a field. The 60-year-old driver suffered serious injuries. His 43-year-old female passenger suffered minor injuries.